Soak off, flexible UV/LED gels with nail strengthening effects. 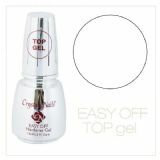 You can combine some members of the Easy OFF family with the 3 STEP Classic CrystaLac gel nail polish. You can combine the soak off Cover Mani gel with the simple or double Mani tips to create the perfect gel nail manicure. 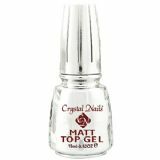 You can use the Easy Off Top gel to protect the ChroMe Top layer, which covers the ChroMe CrystaLac gel polish. With Matte Top gel, you can reach an amazing and trendy matte effect on both gel and acrylic nails and even on gel polish as well.